Night mode is something Android users have been clamoring for for quite some time now. Some apps offer their own solution by inverting the typically blindingly-white backgrounds against which everything takes place, but the good majority don't. System-wide Dark themes are also an unfortunate rarity still. However, this is going to change in Samsung's new One UI, which is based on Android Pie, and has a dedicated Night Mode that's easy on the eyes. 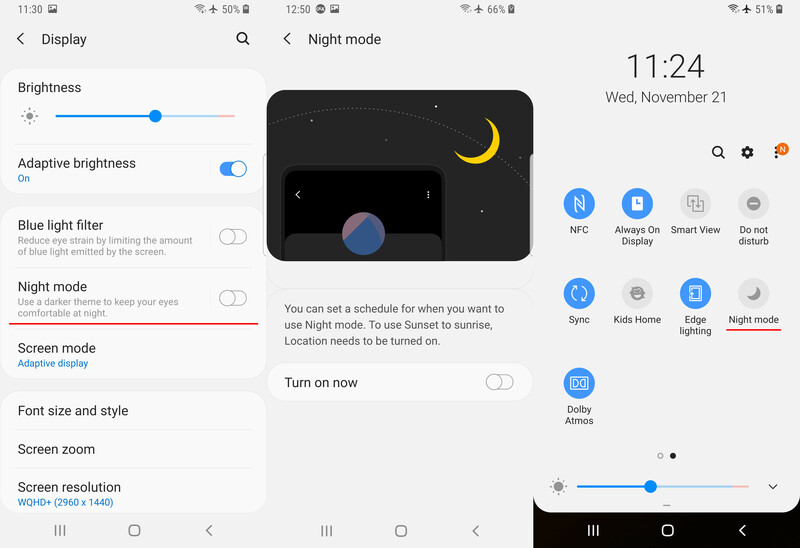 Samsung users have been able to apply dark themes in the past, which do alleviate some of the annoyance linked to staring at a white light while in bed late at night, but some parts of the interface are locked to theme makers. 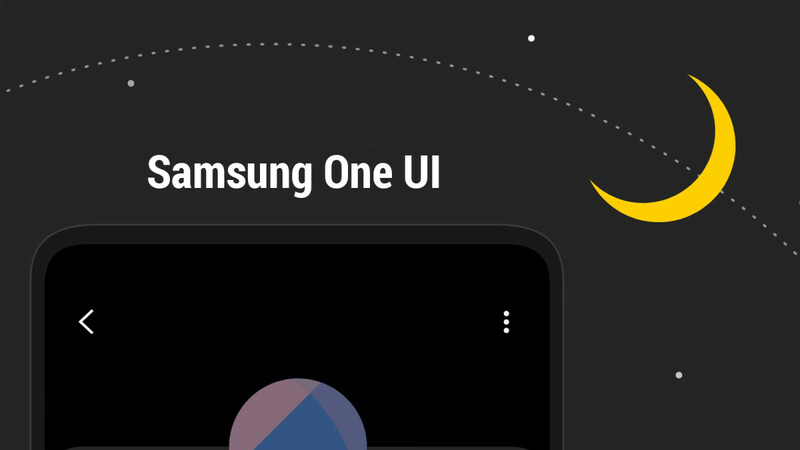 With the new Night mode in Samsung One UI, users can finally rest their eyes and enjoy one of the best features of AMOLED displays – the ability to switch black pixels completely off. Best of all, if you want to reduce eye strain when reading late at night, but otherwise dig the lighter appearance of the UI, you can schedule Night mode to turn on only at a specific time. To enable the new mode, go to Settings > Display, and select Night mode. Alternatively, you can do it from the quick toggles menu by swiping down on the notification bar or ask Bixby to enable Night mode. Looking forward to using a system wide dark theme. I'll definitely enable that full time. I wouldn’t mind taking it out for a spin, looks sharp. From pictures I’ve seen, it looks like it’s got the same visual style, or language, as stock Pie. I love it on my S9 Plus. I keep it enabled at all times. Does night mode work with third party app like fb,insta etc Or only system app? ?